For our client in Hungary we made a round-shaped, nickel-finish chandelier with transparent and black coloured crystals. 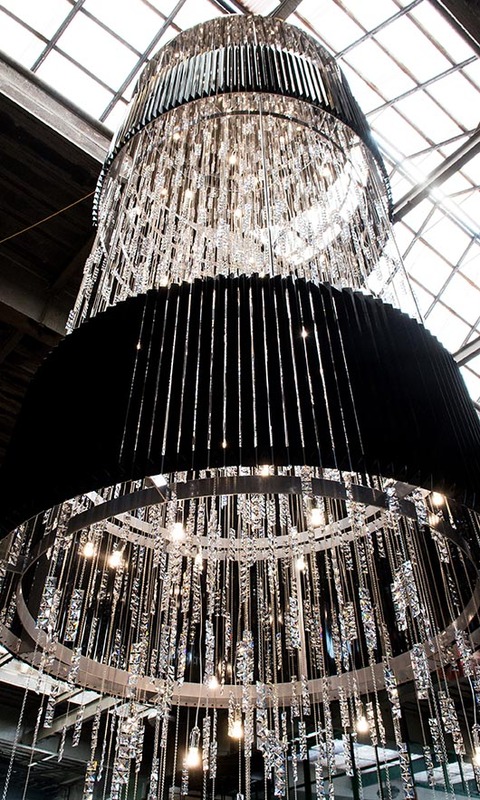 The chandelier, which is 4.3 meters high, 1.5 meters wide, has 56 bulbs and is placed in the entrance hall. 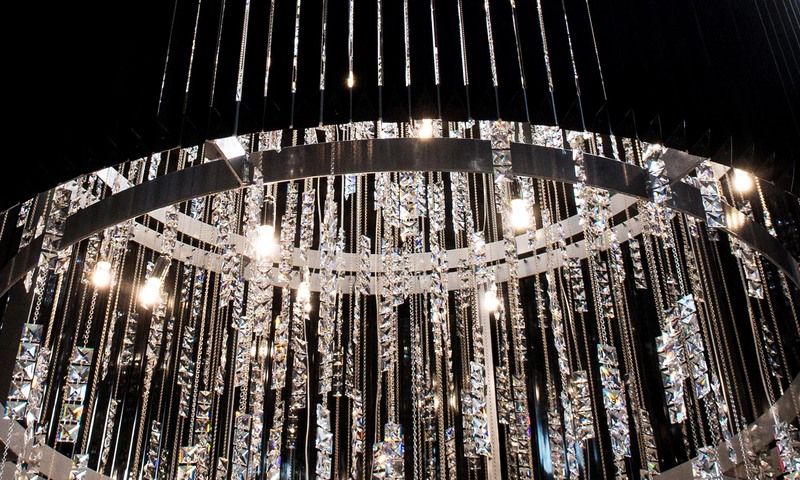 The weight of the chandelier is 425 kg.